Decked out in suede and textured leather is the latest low-top Dunk from Nike SB. Perfect for summer, the release sees a royal blue suede upper coupled with a matching mesh tongue, contrasting white accents, and hits of Bright Mango to the lining, text branding, and rubber outsole. 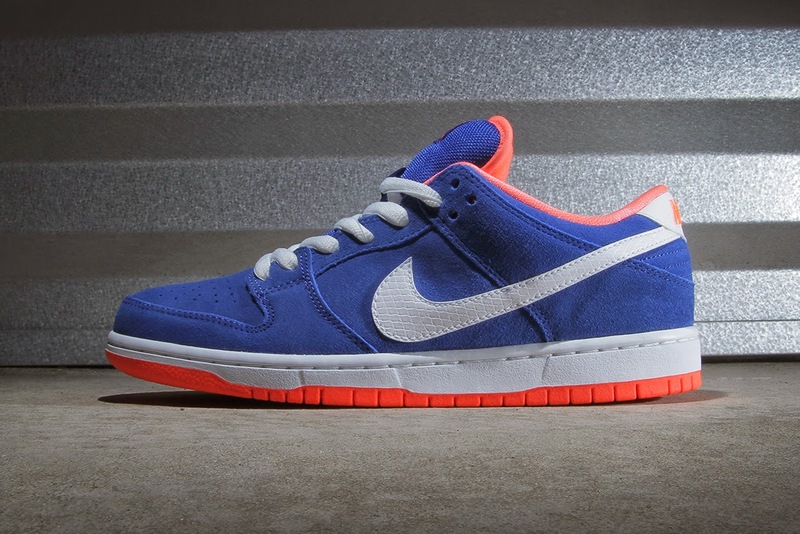 Retailing for $85 USD, the Game Royal/White-Bright Mango colorway of the Nike SB Dunk Low Pro is now available in-store and online from Grand Rapids-based Premier.